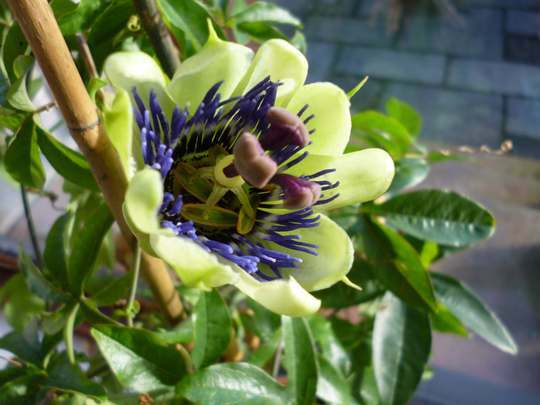 You can return to our passion flowers page or browse the pictures using the next and previous links. It is really beautiful Kath. Have you heard from Karen? Hope her back holds out with all those pots to move. No I have not heard from Karen at all Linda. Yes I know about sore backs hope she is ok.
A lovely bloom , Scotcat . Very late isn't it ? This it in bloom again Driad and I have now moved it into my conservatory for the winter.